GPS was formed from the basis of 3 different companies that have been in business for over 14 years. Three companies that have worked together numerous times in the past and have seen the need for accommodating for the vast changes seen in the PDR industry. 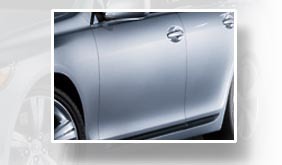 After seeing the state of the business in regards to quality repairs diminishing over the last 4 years an opportunity of supplying top quality and superior customer service, all at a fair price, was realized. In just 2 years, GPS has seen an astronomical growth in market share and growth. GPS has been involved all over the world doing work for vehicle manufacturers, large insurance companies, vehicle holding lots, as well as supplying technicians for small storm sites. Our unique policy of promoting the local companies we work with instead of ourselves, has led to long term relationships within the industry. In addition, this mindset has resulted in developing higher quality standards and excellent customer service with accountability for the repairs. Here at GPS we provide our customers with the most technologically advanced Vehicle management communication tools available to assist them in estimating and repairing their customers vehicles. This system allows instantaneous assignment of claims as well as complete documentation and reporting functions. Quite simply there is no other PDR company out there that supplies the level of detail, Service, nor quality like GPS does. 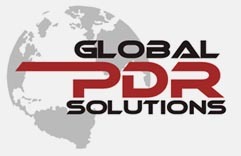 GPS was the first PDR company to consult with overseas insurance customers in bringing modern PDR customer service to their locations. GPS was the first PDR company to repair hail damage in New Zealand..
GPS was utilized by Hyundai in Izmet, Turkey to fix 16,000 vehicles at a assembly plant. 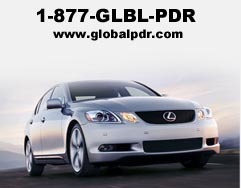 GPS founders were the first to be contracted by an insurance company for nationwide work back in 1994. GPS founders were the first to bring PDR to remote areas such as Montana and N. Dakota.